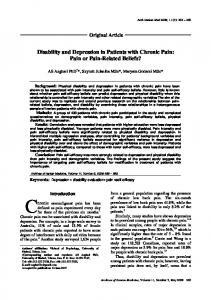 Perceived and functional disability in adults with chronic pain: what accounts for discrepancies?  47% - reduced job responsibilities  on average lost $12,558 dollars in income over a one-year period because of their pain. Report "Chronic Pain, Disability and RTW"